UNLIMITED SPORTS PERFORMANCE TRAINING! One low monthly cost, cancel anytime! Sign up for unlimited sports performance training and enjoy your best season yet!!! 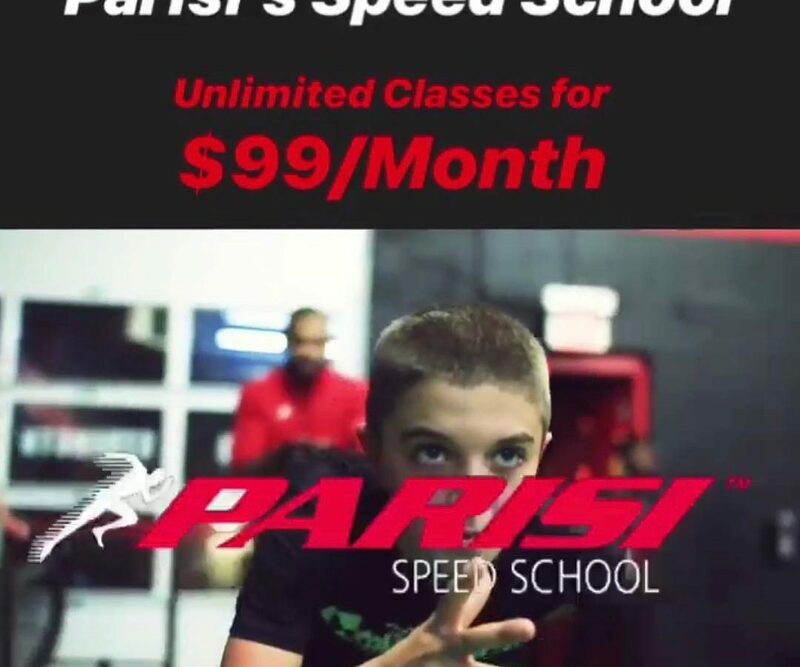 Parisi Speed School Hartford is located off of I-91 and I-84 in Hartford’s South Meadows. Affordable sport and fitness performance training designed by professional athletes and coaches to help improve speed, strength, and character through custom plans and programs. Don’t miss our spring sale on unlimited sports performance training packages and personal training sessions!! Clients of all ages excel with customized training from experienced experts. Our coaches are colored to who assisting each student in our 5,000 sq/ft gym and sports training facility. Get from home to first base quicker or build up the strength to out muscle a defensive lineman. Our staff understands what it takes and knows exactly what you need to succeed. Programs include group classes, one on one training, and price points that are affordable! Our team of experts will help define goals specific to your personalized needs to maximize your athletic potential. Sports Performance experts are here to answer all your questions and inquiries about how to get started. Call now to schedule a free evaluation! Sign up before April 21st to save $99 with our free enrollment special!